1. When starting in a job and it doesn't matter if you are twenty five or forty five years old, always carry a diary with you and keep a note of things that happen and matter to you. 2. Always put on a friendly face, but be wary of people as well. Anyone who comes across too friendly and begins asking you questions about your life may have an ulterior motive. 3. Listen to your inner gut feeling. If you don't know how to do this, take a course outside of work, to help you tune in to what feels right and what feels wrong as these are warning signs. By listening to your body and its responses it may save you from making terrible mistakes and suffering serious injuries later on. 4. If you have no confidence or self esteem do a self improvement course outside company hours and keep it to yourself. This will help you assert yourself and communicate in a professional manner when and if necessary. 5. People may disagree with this one, but if you need counseling for various reasons, try going private before accepting counseling from the company you work for. It may be more expensive but you can be certain it will never be used against you for whatever reasons. 6. Get a union behind you. If your company doesn't have one, then join a private one. Unions are always a good backup. 7. Learn about the law and get a good understanding of what your rights are and where you can go if you need help in something. 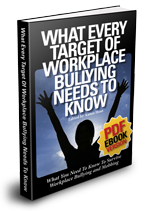 Don't be afraid to seek assistance, especially if you are being bullied at work. 8. Never degrade, or speak negative about the company that you work for. Not only are they paying you to put food on the table, but one day you will need them for a reference. 9. Always respect the chain of command. If you have an issue that needs addressing, take it up with your immediate supervisor or boss and only go one level higher if that person doesn't listen or care. Never head straight to the top without giving others a chance to discuss the matter as it can back fire on you later on. 10. Get a good understanding of mediation processes, especially if your matter leads to one for discussion. 11. Always ask questions if you do not understand something and if you need more training in a job, you ask to have it. This is your right! 12. Never walk out of a company and never just resign. If it's something or someone that has hurt you, you must speak up and face it. You must tell someone and never just walk away, as you may later regret it. 13. Always ask for feedback regarding your performance and jot it down. This is very important to keep as support of your accomplishments, especially if someone has it in for you. 14. Keep your private life to yourself, even if you think you have found the best friend ever to work with, because if you have a fall out, secrets also come out and you could find yourself in a very bad position. 15. Try and avoid people that are negative thinkers and talkers. These types (unless they change their ways of thinking) do not get far in life and often have deeper problems, usually not work related, which you will never know about or want to involve yourself in. These types of people can be draining and may even stop you from getting ahead. 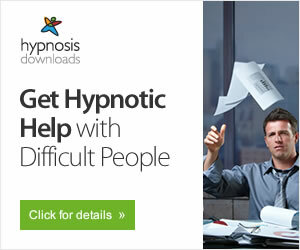 You need a clear mind to meet challengers so try and avoid these types. 16. Try and remain positive, have an open mind and be willing to learn. 17. Report any offensive material on your computer, or sent to your phone or given to you in paper form, even if the person is later apologetic. If you just accept an apology from the person responsible, he/she may do the same thing to someone else and if that person reports it, you may be involved in the problem for not reporting it, when it was sent to you. 18. If you do not feel well, take action, that is why doctors are with us. If you are over stressed it can do a lot of damage to your health. Seek assistance as soon as possible and don't ignore the symptoms or assume they will just go away in time. 19. Do not make work your life! In a computer generated world, things are changing at a rapid pace! Today you have a job, but in five years time things can change for you. Get some balance in your life for example, if you are single and don't have children take up an activity that you enjoy, or join a gym. Work, Life and balance. 20. Never let anyone put you down. Any work colleague that says anything to you or behind your back, that offends and/or upsets you, must not be bottled up, but reported! Again it doesn't matter if you are twenty five or forty five years old, because every individual has rights and one of those is the right to earn a living. Anton please put this one at the top of your list as I almost missed it!!!! My daughter is only now starting a new job and this list will help her so much. Thanks to the person who put it together. Even some of your other stories have made a positive impact. Thanks!!! Thank you very much for these very important points to take note of. I have been working for years and still never followed alot of what is in this list. If only I could turn back the clock ten years!!! This list will help me and many others who want to always do the right thing when working and have a job to pay for bills, ect. Also see the article I wrote on Document the Bullying. It compliments the advice given in this article. It has worked for me and many others I have advised to do the same thing.